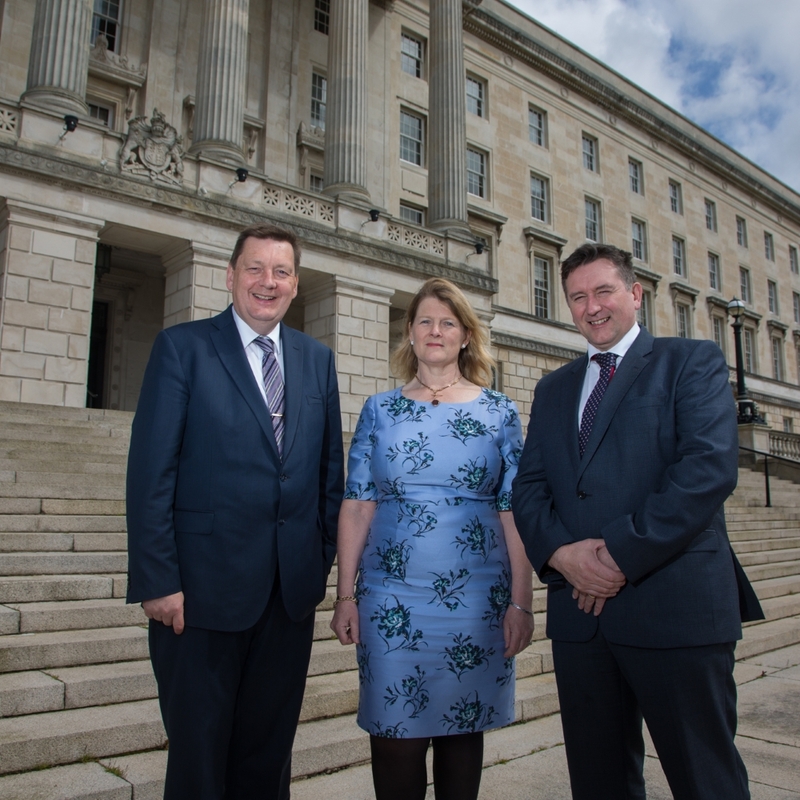 Pictured at Stormont are NIFDA Executive Director, Michael Bell; The Groceries Code Adjudicator (GCA), Christine Tacon and NIFDA Chairperson, Declan Billington. The Groceries Code Adjudicator (GCA), Christine Tacon, held a seminar for local food and drink suppliers at Stormont Parliament Buildings this week, where she shared detailed findings and recommendations from the GCA investigation into Tesco plc. Supported by the Northern Ireland Food and Drink Association (NIFDA), the seminar shed a light on the ways in which the Groceries Supply Code of Practice (GSCOP) had been breached by Tesco and the steps taken by the GCA to ensure the retailer changes its processes and behaviours to remedy the breach. The Groceries Code Adjudicator also pointed out that there had been major improvements in Tesco’s dealings with suppliers since its report was published. Christine Tacon said: “I will be formally monitoring progress and requiring evidence from Tesco that my recommendations are being met. In particular, I have set a seven-day deadline for resolving pricing errors and stopped the retailer from making unilateral deductions from money owed for goods supplied. Suppliers will have 30 days to challenge any proposed deduction and then Tesco will not be able to make the deduction until the disagreement is resolved. The Adjudicator also urged those in attendance to complete the GCA 2016 survey at www.yougov.com/gca in order to help shape her priorities for the year ahead. Michael Bell, NIFDA Executive Director, commented: “The GSCOP and the Adjudicator have the potential to transform the historic imbalance between suppliers and retailers, and the report into Tesco has been a very significant milestone in their work. We are pleased to support this seminar on behalf of our members who are keen to find out more about what the implications of the Tesco report are for their businesses and how they can help ensure fairer trading with retailers in future. The next Grocery Suppliers Code of Practice Training Course run by NIFDA will be held on 31st May at the Maldron Hotel Belfast.